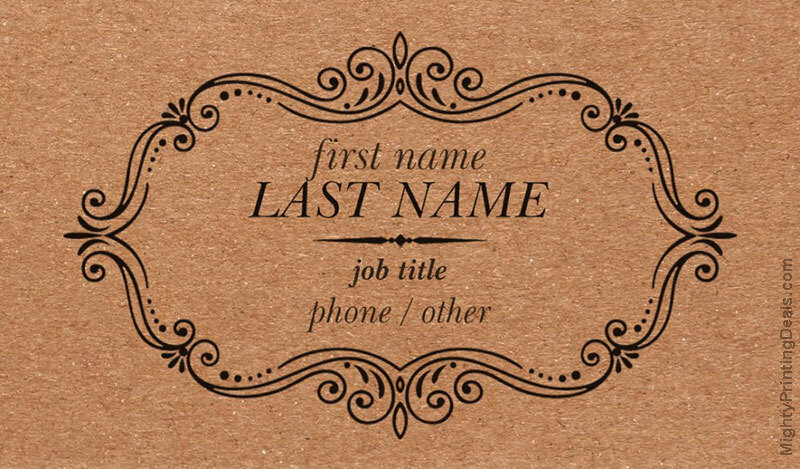 Kraft business cards are eco-friendly, and printed on uncoated, light brown, 90% recycled paper. 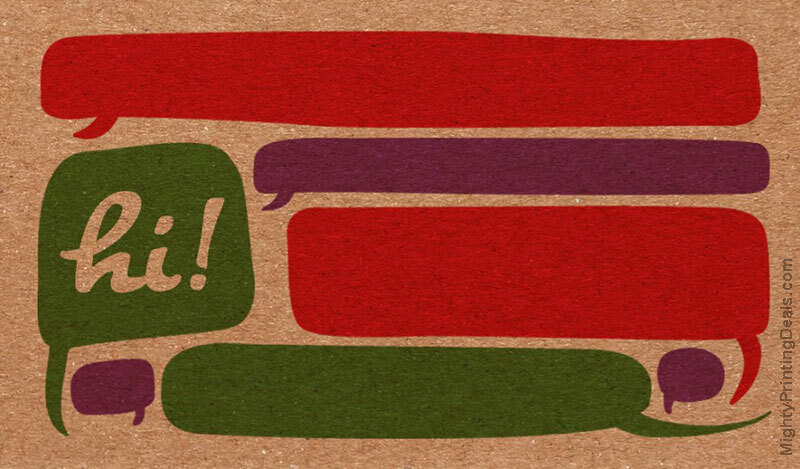 Kraft is a paper option under Premium Business Cards, and there are dozens of vintage-looking design options to choose from. Kraft business cards are simple, minimalist, and striking. 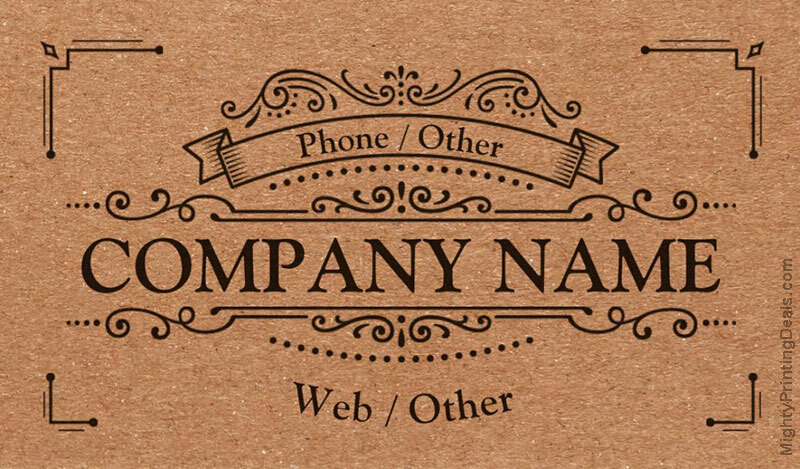 They are a great alternative to conventional glossy, polished business cards. Their cool, vintage-look really makes an impact. The brown paper stock is uncoated, and looks best with black ink, which really pops! Also, the unfinished, uncoated paper is great for writing on. 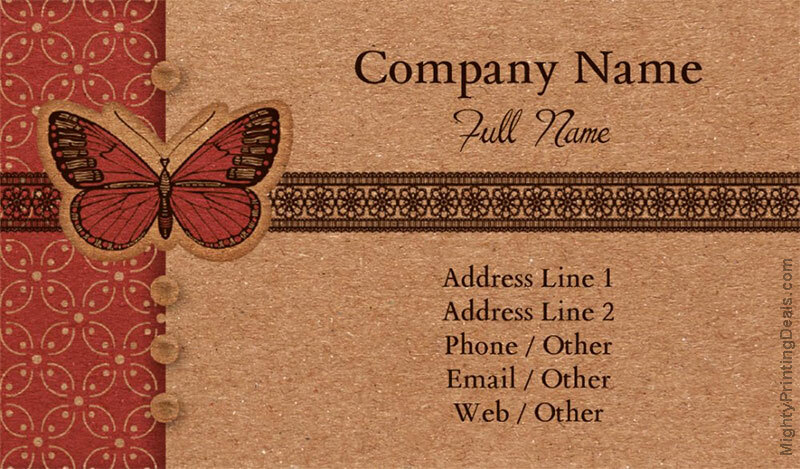 You can even see the natural wood fibers of the pulp of this paper, which gives these business cards a rustic look. 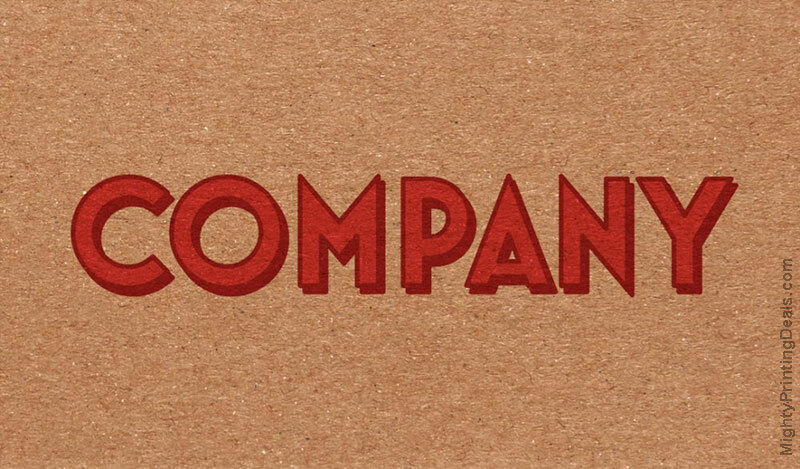 If you own a small business or are a freelancer who would benefit from hip cards that you can write personalized notes on, consider Kraft (brown) paper stock. Standard (3.5″ x 2″): The traditional size and shape – fits in any holder. Square (2.5″ x 2.5″): Uniquely shaped cards that look and feel a cut above. Slim (3.5″ x 1.75″): A sleek and streamlined look that makes your card stand out. *Rounded corners (quarter-inch) are also a nice option! Because of the color and nature of this paper stock, I’d recommend NOT printing photos or colors that have any yellows, oranges, or any other light colors. Black and white, high contrast photos might work, but you can’t print white ink on them. The customer reviews for “standard” recycled cards aren’t good, but these qualify as “Premium” business cards. I might order some of these and do my own review, as I really like them! 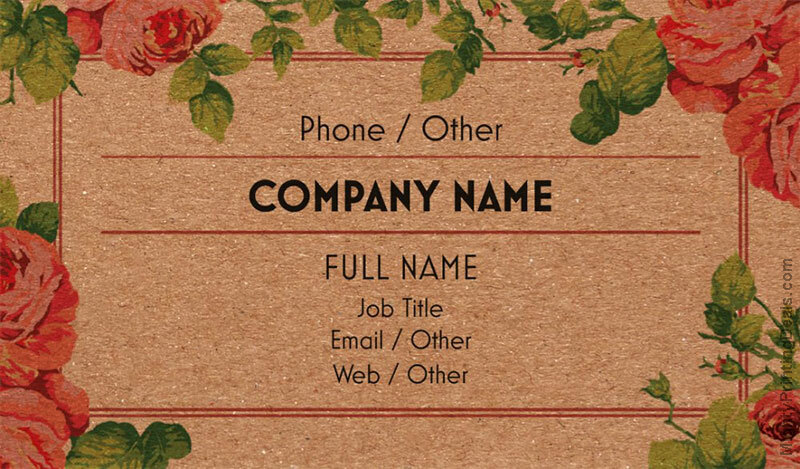 Vistaprint has a “500 business cards for $10” deal, but these craft cards don’t qualify. You can, however, use the same promo code towards these for 40% off. This entry was posted in business cards, vistaprint and tagged business cards, recycled, vistaprint on May 24, 2017 by kevin.